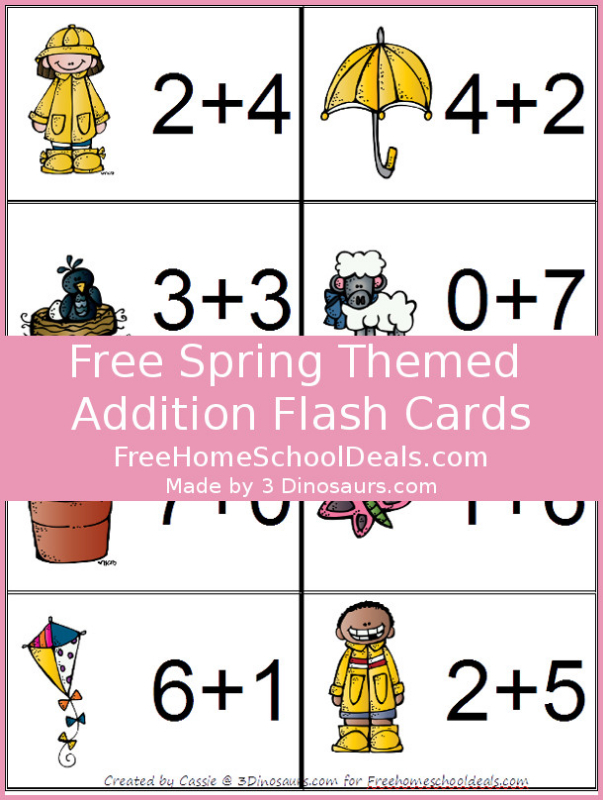 Spring is here and it is time to have some fun with some Spring theme Addition Cards! They have kids in raincoats, umbrellas, birds nest, lambs, pot of flowers, butterfly and kites on the cards. It is fun to have seasonal activities. 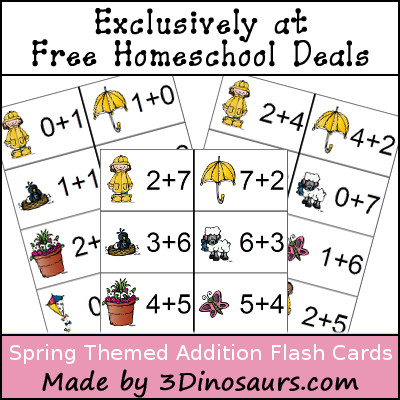 In these printables your are going to find addition cards for 1 to 10. There are 8 cards per page. There are 8 pages total.They match up perfectly with the Spring Learning Pack.